The driver takes you to the Palace and the Shopping mall and waits for your return. 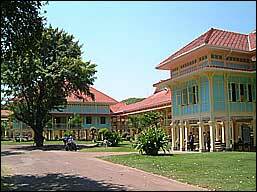 A drive of 30 minutes takes you to the teak wood palace Phra Ratchaniwet Maruek Thayawan in Cha-am. Built and lived in by a former Thai King and almost destroyed by neglect. But now beautiful restored. It is a pleasure to walk around in the palace and in the tropical gardens that surround it. 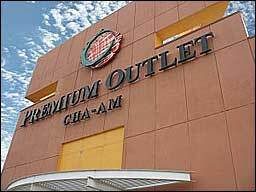 Afterwards the drive takes you to the Premium shopping outlet. 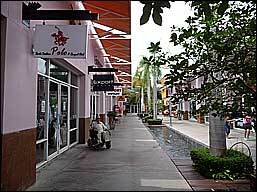 Here you can have lunch, have a drink and shop till you drop. All the big brands are present and clothes are really cheap. Both locations have accessible toilets. Included transfer, drinking water in the car, parking fee and expressway fee. Excluded entrance fee, meals, personal expenses, etc.